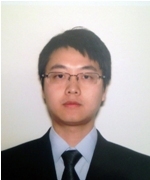 Jun Ren is being a young vascular biologist, I was trained in biochemistry, molecular biology and physiology. My major research for past several years has been focused on the molecular and cellular mechanisms underlying vascular diseases and developing effective strategies to treat vascular diseases. Using a combination of molecular, biochemical and genetic approaches, we identified that protein kinase C-delta (PKCδ) is a critical stress mediator in vascular injury. My current research mainly focusesonhow PKCδ regulates apoptosis of vascular smooth muscle cells (VSMC) and, on the other hand, mediates chemokine release. How injured VSMCs cross talk with adventitial cells, mediate cells differentiation and recruitment during neointima formation in vitro and in vivo. By collaborating with chemical engineers, I also put my effort to develop potent therapy against intimal hyperplasia. Dr. Nandan Kumar Mondal, M.Sc., M.Phil., Ph.D. is currently an Assistant Professor in the Departments of Cardiovascular & Thoracic Surgery at the University of Louisville School of Medicine, Louisville, Kentucky, USA. He is also a part of the Advanced Heart Failure Research program in the Cardiovascular Innovation Institute, University of Louisville. He has approximately a decade’s worth of experience in the field of human as well as animal biology. In India, he had a broad background in hematology since 2007, with specific training and expertise in wide range of hematological abnormalities research areas like health effects of ‘Indoor Air Pollution’, ‘Drug Abuse’, ‘Occupational exposure’, ‘thermal power pollution’ etc. 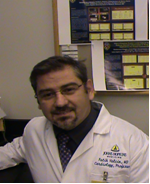 He came to University of Maryland School of Medicine, Baltimore, USA in 2012 in order to expand upon his knowledge of hematology, platelet activity and flow cytometry upon developing a strong interest in blood contacting biomedical devices, specifically continuous flow left ventricular assist devices (CF-LVADs). As CF-LVAD increase in popularity as an effective treatment option for heart failure patients, understanding the risks and complications associated with implantation of those devices is crucial. In 2014, he moved to University of Louisville as a faculty. He has quickly proved himself to be one of the most elite cardiothoracic researchers in the field. He took his background in public health and hematology and has expanded that knowledge into the world of CF-LVAD and advancing the understanding of complications associated with heart failure and mechanical circulatory support devices. Gry Dahle is graduated from the University of Bergen and completed her training in cardiac surgery at Rikshospitalet, Oslo University Hospital. She is now a consultant at the Department of Cardiothoracic and Vascular Surgery, Rikshospitalet , OUS. Gry is currently in charge of the surgical transcatheter programme and the PI for Tendyne study at OUS. She is an active member of ISMICS and EACTS. She is a member of the New Technology Committee in EACTS and secretary of the Norwegian Society of Cardiothoracic Surgery. Her main interests are new technology, valves, imaging and VAD. Dr. M Reza Movahed received his MD from Medizinische Hochschule Hannover, Germany. He completed his medical residency at the University of Rochester, New York and his cardiology training at the University of South Caroline, Columbia. His final training in interventional cardiology was completed at Yale University Hospital, New Haven, Connecticut in 2000. After his training, he joined University of California Irvine as Assistant Clinical Professor and later joined University of Arizona College of Medicine in 2006 as Associate Professor of Medicine, Division of Cardiology. In July 2010, Dr. Movahed was promoted to Professor of Medicine, Tenure at the University of Arizona College of Medicine due to his excellent clinical work, teaching, service and research with over 200 peer reviewed publications. He has been Director of Cardiac Catheterization Laboratory and Nuclear Cardiology at the University of California, Irvine medical Center and Director of Coronary Care Unit and Medical Director of Cardiac Transplantation at the University of Arizona Medical Center. In 2007, he joined the Southern Arizona VA Health Care System for his clinical work and as the Medical Director of Heart Transplantation. In May 2012, he joined CareMore as The Regional Cardiology Director of CareMore in Arizona while keeping his teaching and research affiliation with the VA and the University of Arizona as Professor of Medicine, tenure. His major area of research is related to coronary intervention, non-invasive cardiology and cardiovascular epidemiology. He is world-renownedfor his coronary bifurcation classification known as “The Movahed Classification”He is also known for his discovery on the flattening of interventricular septum as a sign for right ventricular overload the so called “ Movahed’s sign” that can be seen during Gated SPECT studied and recently published reverse “Movahed Maneuver” that can be used for improvement of stent deliverability during difficult and tortuous vein graft interventions. He also has two cardiovascular patents issued to him. One is a device for removal of contrast from coronary sinus during coronary angiography or intervention in order to reduce contrast exposure to kidneys for prevention of contrast induced nephropathy. The other one is a method and device that can measure cross sectional lumen of a vessel using impedance sensors. His publications include prestige’s journals such as New England Journal of Medicine, Nature Reviews, Circulation, American Journal of Medicine, Journal of American College of Cardiology, American Heart Journal, American Journal of Cardiology, Journal of Society of Echocardiography, JACC cardiovascular Intervention, JACC Imaging, Catheterization and Cardiovascular Intervention, Journal of Invasive cardiology, Journal of Interventional Cardiology, etc. He is an editorial board member of numerous peer reviewed journals. He has been invited speaker and chair for many national and international cardiology conventions and conferences. He is Board Certified in Cardiovascular disease, Echocardiography, Advanced Heart failure/Transplantation, Nuclear Cardiology and Interventional Cardiology. Fatih Yalcin, Fulbright Visiting Professor, Johns Hopkins Medical Institutions, USA. His research interest is on Novel Cardiovascular Imaging, Tissue Doppler Imaging, Live 3 DE, 3rd Generation Microscopic USG, and cardiac MRI. Editorial Board Membership: World Journal of Cardiovascular Surgery, Datasets International, Radiology. Effective follow-up of hypertensive heart disease. 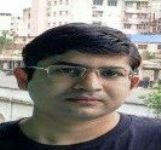 Dr. Sandeep Kumar Karis presently working as Assistant Professor, Super specialty department of Cardiac Anaesthesiology, Institute of Postgraduate Medical Education & Research, and Kolkata, India. He has represented India in several world congresses in Anaesthesiology and Critical Care. He has published more than eighty research articles and reviews in high impact international journals including Anaesthesiology (Journal of American Society of Anaesthesiology). He is in the Editorial board of several journals and Editor of Translational Biomedicine, Journal of drug designing, Journal of Bioequivalence and Bioavailability, Journal of Bioanalysis and Medicine, World journal of pharmaceutical Sciences,EJPMR journal and Experimental Cardiology Insight of Blood Pressure, Journal of Neurosurgery, and Interventional Cardiology. He has won several international and National awards like Janak Mehta National Award for best paper in Cardiac Anaesthesiology, B Braun Scholar of the year (2012), ESOP Scholarship (NWAC 2013) and presented papers and lectures in several National and International conferences. He is also a Poet and Writer of international repute with poetry published in several international Journals. Dr. Naiem Nassiri is one of only a handful of individuals in the country with an integrated training background in vascular surgery and endovascular interventions. A multi-published author and, he produced published work in the area of vascular malformations with multiple peer reviewed journal articles, abstracts, book chapters, and national and international presentations. Endovascular therapies targeting bimolecular pathways involved in pathogenesis of vascular malformations. 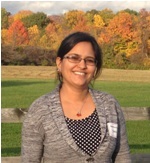 Sanchita Basu had a steadfast interest in cell signaling regulation since my formal scientific training as a doctoral student. My thesis work focused on deciphering the various Toll-like receptor (TLR) mediated signaling pathways involved in host innate immune response to diseases like tuberculosis caused by Mycobacterium tuberculosis and H.pylori induced gastritis. I have always been very passionate and dedicated towards exciting scientific discovery. As part of my postdoctoral research for last five years, I have explored novel vasoregulatory roles for Notch signaling in vascular smooth muscles (VSM). Arterial vasoreactivity is a major determinant of circulatory blood flow and pressure regulation and relies on coordinated control of vascular tone by both vascular endothelial cells and VSM. We discovered that Notch signaling control the major regulatory contractile protein, myosin light chain kinase that catalyzes myosin light chain phosphorylation, the molecular signature of force production for the first time. I have also been an active member in the editorial board of journals, namely, HSOA Journal of Non Invasive Vascular Investigation, BAOJ Cellular and Molecular Cardiology and Journal of Clinical Trials in Cardiology. Khumara Huseynova completed residency in general surgery at the University of Toronto in Canada. Following that she completed a fellowship in vascular surgery at the University of Toronto. After working in Canada for 2 years she continued her career at West Virginia University as an Assistant Professor of Vascular and Endovascular Surgery and a clinical scientist. Currently she is working on her PhD thesis at the University of Toronto. 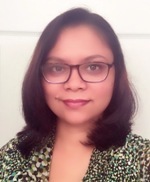 Dr. Surovi Hazarika is an assistant professor in Cardiology and Vascular Medicine in the division of cardiovascular medicine at University of Virginia. She is trained in both general clinical cardiology and vascular medicine. She is a clinician-scientist with primary interest in the field of development of therapeutic strategies for revascularization and wound healing in peripheral arterial disease (PAD). She has over 10 years of translational research experience in the field of peripheral arterial disease and therapeutic angiogenesis. Current translational research projects include identification of diagnostic/prognostic markers for PAD, elucidation of the role of tissue/cell specific and circulating micro-RNAs in recovery of ischemic limbs. In addition, she is involved in clinical trials in the fields of lower extremity PAD and carotid artery disease. Lee Pui Wai Alexis an academic cardiologist specializing in cardiac imaging with particular interest in echocardiography. His main research interests are heart valve disease, heart failure, structural heart intervention, and biomedical engineering. In patients with dilated cardiomyopathy undergoing mitral valve repair, he established the importance of distal anterior leaflet tethering in the mechanism of recurrence of functional mitral regurgitation. More recently, Prof Lee and his group discovered the mechanistic link between mitral annular saddle shape and progression of degenerative mitral regurgitation using real-time 3D echocardiography. He hypothesized that the mitral valve sustains physical stress by assuming a saddle-shape surface, analogous to architectural design to bear weight. Loss of the annular saddle shape predispose to valvular degeneration. Results of his work have been incorporated into international society guidelines on valvular heart disease and echocardiography.Since 2015, Prof Lee’s team has been at the forefront of medical 3D printing, dedicated to developing this novel technology for application in medical education, surgical training, and personalized medicine. Prof Lee has published over 130 articles in peer-reviewed journals including Circulation, European Heart Journal, Journal of American College of Cardiology, and Nature: Cardiology Review. He has been invited as speaker and faculty member in major international scientific conferences organized by the American Heart Association, the American College of Cardiology, the European Society of Cardiology, the American Society of Echocardiography, the European Association of Cardiovascular Imaging, and the Asian-Pacific Association of Echocardiography. He has been awarded the European Society of Cardiology Young Investigator Award in 2008, the State Ministry of Education First-Class Award in Technology Advancement in 2012, the CUHK Research Excellence Award in 2014, the Hong Kong College of Physicians Distinguished Research Awards in 2009, 2011, and 2013, and the Richard Yu Lectureship in 2015 for his distinguished research achievement as a young clinical scientist. The vision of Prof Lee’s multi-disciplinary team of physicians, engineers, and basic scientists is to advance and lead the field of cardiovascular medicine through innovation in ideas and technologies. Si M. Phamis currently a Professor of Surgery at the University of Maryland School of Medicine and theDirector of Heart and Lung Transplantation, Circulatory Assist Device and Extracorporeal Membrane Oxygenation (ECMO) Programs at University of Maryland Medical Center and Surgical Director of Lung Rescue Unit of Maryland Shock Trauma Center. He is certified by the American Board of Thoracic Surgery, the American Board of Surgery, and holds a subspecialty certification in Surgical Critical Care from the American Board of Surgery. He is a member of many professional organizations including the American Association for Thoracic Surgery, the Society of Thoracic Surgery, the American Society of Transplant Surgeons, and American Society for Artificial Internal Organs. He received his medical degree from the University of Pittsburgh, and completed residency in General and Cardiothoracic Surgery at the University of Pittsburgh Medical Center. He had served as Director of the Adult Heart Transplant and ECMO Programs at the University of Pittsburgh Medical Center, Director of thoracic transplant research laboratory at the University of Pittsburgh, Director of Heart/Lung Transplant and Artificial Heart Programs at University of Miami/Jackson Memorial Hospital in Miami, Florida. He has published more than 170 scientific peer-reviewed papers in leading medical journals. He has received grants from the national institute of health (NIH), the American Heart Association, the American Lung Association, and the Transplant Foundation for his research. He has made several seminal contributions to the field of heart/lung transplantation, ECMO, Mechanical Circulatory Support. Clinical Research: Clinical heart and lung transplantation, Immunosuppressive agents in organ transplant, Mechanical circulatory support, Extracorporeal Membrane Oxygenation (ECMO). Bench Research: Transplant tolerance, Transplant vasculopathy, Vascular response to injury, In-stent restenosis, Ischemia reperfusion injury. Dr. Harleen K. Sandhu was obtained my Medical Degree in 2008 from Kasturba Medical College, Karnataka and went on to work as a junior resident in Intensive Care Unit and department of Medicine at Adesh Institute of Medical Sciences and Research, Bathinda in India (2008-2010). In 2010, she relocated to USA to pursue further education in advanced clinical research in cardio- and neurovascular diseases and obtained a Masters degree in Public Health with a major in Epidemiology (2013) at the University of Texas School of Public Health (UTHealth) in Houston, Texas. As a graduate assistant she worked and published on several basic science studies with a focus on hypoxic-ischemic brain injury and novel stroke models at the department of Neurosurgery, McGovern Medical School at Houston. At the same time, she also spent the two years as a volunteer research associate at the department of Cardiothoracic and Vascular Surgery, McGovern Medical School at Houston and worked/published on numerous clinical research questions in the field of cardiovascular epidemiology. It was during this time that I developed a keen interest in aortic disease research and have been actively involved in designing three investigator-initiated clinical trials (ClinicalTrial.gov Identifier NCT01601873; NCT02111746). She had successfully established many collaborative multidisciplinary research endeavors, both local as well as international researchers, written grant applications, and have produced several peer-reviewed publications from each project. These collaborative ventures have given me valuable expertise in designing and conducting multidisciplinary studies underscoring the importance of communication and formulation of a realistic research plan, timeline, and budget. 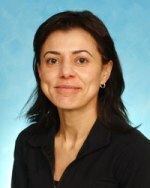 Furthermore, she had overseen the conduct of various other industry-sponsored and investigator-initiated prospective studies conducted alongside the retrospective studies on evaluation of clinical and long-term outcomes of cardiovascular diseases, including aortic dissection, limb ischemia, thoracoabdominal aneurysms, hemodialysis access, etc. to name a few. While working in the capacity of co-investigator and primary managing director for a multicenter study proposal; she developed, under the supervision of my mentors, a unique quality of life and clinical research protocol designed at advancing patient engagement in clinical practice. She presented our preliminary findings at this years’ esteemed International Society of Quality of Life (ISOQOL) conference that received much attention. Furthermore, she committed to continue on with this project and for facilitating the patient engagement and awareness about their cardiovascular management and risk. Osmar Antonio Centurion is a cardiologist. He is Professor of Medicine at the School of Medical Sciences from the Asuncion National University in Asunción, Paraguay. He received is PhD degree in Cardiology, at the Nagasaki University School of Medicine, Nagasaki, Japan in 1994. He is the Founding Member of Sociedad Latinoamericana de Cardiología Intervencionista (SOLACI). Author of more than 200 medical articles published in peer-reviewed American, European and Japanese journals in cardiology. His biography is published in "Who is Who in the World", "Who is Who in Science and Engineering", "Man of Achievement", "Who is who in Medicine and Healthcare". He is a Fellow of the American College of Cardiology, American Heart Association, and member of other 10 International Cardiovascular Societies. He is currently Chief of the Department of Cardiology, Hospital de Clinicas, Asunción, Paraguay. In addition, He is the Director of the Department of Health Science Investigation at the Metropolitan Hospital, Fernando de la Mora, Paraguay. He is currently Member of the Editorial Board of more than 50 international scientific journals. Mritunjay Kumar Rai received his Doctorate degree from ABV Indian Institute of Information Technology and Management, Gwalior, India, after the completion the Master of Engineering degree in Digital system from Motilal Nehru National Institute of Technology, Allahabad, India. Presently he is working as an Associate Professor in Lovely Professional University, Phagwara, India. He has more than 10 years experience in teaching and research. His research interest includes wireless networks, computer networks and Network Security. He has published more than 50 research articles in reputed International Conferences and International Journals. Dr. Rajesh RajanMD, Ph.D, FRCP(UK), FRCP (Ire), FACC, FESC, FAHAis the current President of the Indian Association of Clinical Cardiologists. He has been the recipient of several distinguished fellowships, including those from the Royal College of Physicians UK&Ireland, European Society of Cardiology, American College of Cardiology, and American Heart Association. Dr Rajan has been in charge of various clinical research registries in heart failure and authored several publications. He is actively involved in various global forums and committees in the field of cardiology. He currently works at Sabah Al-Ahmad Cardiac Center, Al-Amiri Hospital.